People will be able to travel freely between the UK and Ireland after Brexit, Irish premier Enda Kenny has said. The Taoiseach - the Irish head of government - says he has agreed with Prime Minister Theresa May that the "benefits of the Common Travel Area" between both countries are preserved. The decades-old deal, which dates back to the 1920s, secures freedom to travel between Britain and Ireland. He made his remarks as he opened the All-Island Civic Dialogue, a cross-border gathering of politicians, business leaders, community representatives and others in Dublin to discuss Brexit's impact on Ireland. "Neither I, nor the Prime Minister, desire to limit the freedom of people on both sides of the Irish Sea to trade, to live, to work, to travel freely across these islands," he said. "Therefore, we have agreed that the benefits of the Common Travel Area be preserved." Mr Kenny also pointed out that access to the European Union Single Market requires the acceptance of the freedom of movement of people. The Taoiseach says Northern Ireland and the peace process would be front and centre of Dublin's priorities in the upcoming negotiations between Britain and the 27 remaining EU leaders over the terms of Brexit. "I also acknowledge that the electorate in Northern Ireland did not vote to leave the European Union," he said. Mr Kenny states the Irish government remained fully committed to the Good Friday Agreement, pointing out it was a co-guarantor along with the British government of the 1998 peace deal. 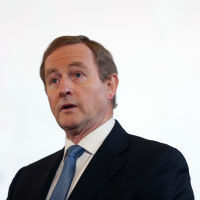 The Irish premier says Britain's decision to leave the EU was the most significant economic and social challenge to hit Ireland over the last half a century. When travelling to Ireland, holidaymakers are advised take out travel insurance.